You are being watched while you shop — not by security cameras and guards, but by your own phone. 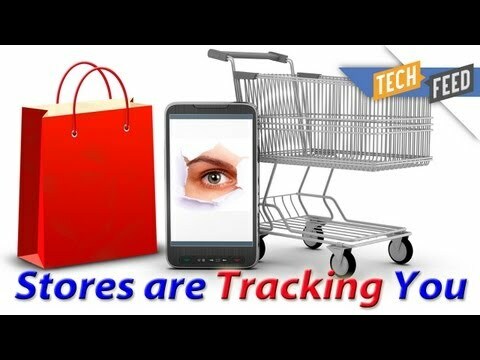 The New York Times recently broke a story that retail stores such as Cabela, Nordstrom and Family Dollar are using the stores' Wi-Fi networks to track your phone and aggregate data about you. While businesses say it's no different than what online retailers already do, are they right in making this claim? Retailers are using video surveillance, cellphone signals and downloaded apps to track and analyze customer movements throughout their stores. With this data, they can determine customer patterns, such as how long a particular demographic of customers will spend looking at high-ticket items, sections they ignore and movements throughout the store. Many retailers can locate your phone and track your behavior even if you don't connect to their Wi-Fi. While many businesses claim the information they collect is anonymous, others use information gathered voluntarily from store credit cards and official smartphone apps to track and monitor customer movements and interests in the long-term. For example, a company based in Seattle called Placed has an app available for download that surveys customers while they are visiting a store, offering gift cards and other incentives in exchange for personal information, such as age and gender. Placed's website claims they are gathering intelligence on customer activities and behaviors to measure the impact of advertising. The language seems haunting, and many consumers are openly uncomfortable with the technology being created to track and manipulate them. This revelation couldn't come at a worse time for these companies' public relations campaigns. A Gallup poll from earlier this year reported more than half of Americans were uncomfortable with the revelation that the NSA was engaged in domestic surveillance, and only slightly more than a third approved. While companies track keystrokes and search histories online to offer coupons and target marketing, they don't track actual physical movements in the real world. With the addition of GPS tracking and video surveillance coupled with personal data, it's hard to not make a correlation to data breach stats that have recently surfaced. According to the Internet Security Threat Report: Volume 17, published by Symantec in 2012, more than 232 million identities were compromised worldwide in 2011, primarily by hackers looking for information usable to commit fraud. The concern isn't only criminals and hackers will come after the data, it's the overwhelming sense Big Data is becoming Big Brother. Take, for instance, London-based company Realeyes, the self described “Google of Emotions.” Realeyes uses hidden camera technology placed near ads and throughout stores to collect facial data about the emotional state of shoppers, ostensibly to then offer them deals based on their current emotional state. It smacks of the worst kind of emotional manipulation in the eyes of consumers — it sounds so dystopian, it's almost terrifying. While good marketing always uses emotions to sell products, the idea a person whose face shows unhappiness may be targeted with an advertisement for whiskey, as Realeyes head of marketing Ekaterina Savchenko suggested to The New York Times, is too troubling for most consumers to contemplate. What are your thoughts on in-store data tracking?